What is the Value of Continuity? 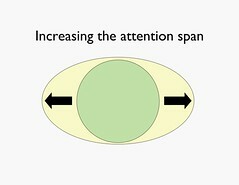 FLICKR ALBUM: What is the value of attention? For many players in the world of responsible travel and ecotourism, it is easy to be sold on an ideal only to experience frustration, disappointment and in many cases failure. Successful tourism and conservation strategies depend on security and building quality relationships take time. Thinking over a failed series of workshops and promotion I had planned with Ecuador's director of tourism marketing, what bothers me isn't that we didn't do a large project. It's that we didn't do anything at all. We did not attempt anything small. One of the many barriers to developing any project occurs when the plan is too ambitious. Add bureaucracy and corruption and you have a recipe for certain failure. Most countries document their commitment to sustainability and nobler elements of tourism and conservation through aspirational documents. They read well, they inspire, but more frequently than not they fail to provide the blueprint that locals or visitors or media can follow to help nudge the goals along. One of the benefits that continuity brings is that the process of communication and organization is simplified over time. What works works, what does not work changes. Long-term success requires a willingness to collaborate over extended periods of time. A visitor who plans a trip in advance and finds ways to stay in contact afterward has a better chance of supporting continuity in the development of tourism services. Working with colleagues, I have been able to stay in contact with professionals more than a decade. Offline in the natural world we have co-hosted an annual tourism fair in Oaxaca City from 2001-2011. We are interested in seeing how projects are born and mature. We'd like to see more analysis of work that fails as such projects have much to teach. Instead of reinventing the wheel, conduct public inventories of work already underway. This helps avoid duplication. Pace yourself. All players need to make a long-term commitment (6 month minimum and preferably a year or two)! Everyone - Pay kudos to individuals and institutions who have a track record. Give credit where it is due. Everyone - Technical continuity tip: those creating email accounts, Flickr galleries and such need to figure out how to return and do the same task a day and a week later. Everyone - Focus on place instead of destination. Donors and Foundations - Support the work that is already underway. Instead of betting on a new solution, consider the idea that perhaps the older solutions needed more time. Create incentives for people working in the field. Donors should fund creative extensions to existing projects, particularly with individuals and groups with a proven track record. Donors and Foundations - Conduct public inventories and evaluations of efforts. Stop reinventing the wheel! If the topic is considered 'hot,' officials dedicate time and money in developing institutional presence in the field -- regardless of whether it duplicates other efforts. When interest dwindles, the project is shut down and personnel sent to other divisions. We continue to see tourism managed by program directors with no expertise and frequently little interest. Given that tourism development and promotion requires travel, many leaders are on the road. This leads to a start-go-stop-backward, go-again routine. Many complain that bureaucrats just take up space. If they are not actively sabotaging 'sustainability' projects, they are simply neither supportive nor interested. "Every time a new tourism official is put in charge of ecotourism, we have to teach them all over again," a tour guide says. Many are uncertain whether they their operations will survive the coming year. While sustainability is gaining in public interest, journalists generally do not have the time to investigate or report on long-term development. They don't see the larger picture because they don't have the incentives to pay attention over time. Lack of continuity is the Achilles' Heel. Until we can develop a longer attention span, a high failure rate in this field will be the norm.And without continuity, sustainability and tourism ethics is a long shot. People change! Most often it is difficult for professionals (teachers, tourism operators, conference organizers) to perceive the growth of students. How do we improve our attention? Every time a new tourism official is put in charge, we have to teach them all over again.